We have some exciting announcements regarding changes to your Surpass subscriptions that will help you provide a better library experience for your patrons, protect your Surpass database, and lower your costs. 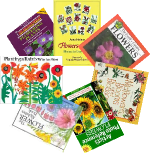 This spring, your Surpass Safari catalog will be in full bloom with colorful book covers! Starting with Surpass 7.20, your Surpass Support subscription includes access to free cover images from Open Library. Open Library is a project of the non-profit Internet Archive to create a Wikipedia-style “one web page for every book” collection through the contributions of book enthusiasts around the world. Surpass Safari is so much more enjoyable to use with book cover images and now every Surpass Support-subscribing library can offer this to your patrons at no additional cost. This book cover service doesn’t replace the more robust Safari Selections service, which provides a much higher number of images as well as other content, but it’s a great alternative if your library cannot afford or does not need Safari Selections. Starting with your next* renewal Surpass Support will include access to the Surpass Cloud Backup Service** at no additional charge. Surpass Cloud Backup protects your Surpass database by sending copies of your backups to the cloud. If you currently subscribe to the Surpass Cloud Backup Service (formerly Surpass Online Backup), that extra charge will drop off your one-year renewal invoices starting May 1, 2014, saving you as much as $100 per year. We are thrilled that we have found a way to add these important, but sometimes expensive, services to your Surpass Support subscription while still keeping the basic rate affordable. There will be a modest, $15/year ($1.25/month), rate increase effective May 1. Subscribers to Safari Selections Level 1 or Level 2 enjoy an enriched Surpass Safari experience with professionally written reviews, millions of cover images, tables of contents, first chapter excerpts, author notes, and more. The optional Surpass Awards & Honors service is also a great addition to your catalog, by automatically matching your collection to hundreds of awards and honors such as the Pulitzer Prize and Newbery Medal. We are bringing these two enrichment services together. Starting with your next* renewal, Awards & Honors is included in your Safari Selections Level 1 or Level 2 subscription! For those of you who already subscribe to both Safari Selections and Awards & Honors, the extra charge for Awards & Honors will drop from your one-year renewal invoices starting May 1, 2014, saving you as much as $80 per year. The "About the Author" tab in Surpass Safari 7.20 includes the author's photo from Open Library, when available. If you’re already an Awards & Honors subscriber but you don’t have Safari Selections, you can now upgrade to Safari Selections Level 1 or 2 and have both for a lot less money! There will be a minor ($10/year) rate adjustment starting May 1, due to increased costs from content providers, but we hope the addition of the valuable Awards & Honors subscription more than offsets this. Surpass Cloud Backup and the Open Library book covers (and author photos) features will be available in Surpass 7.20, which is on track for release early this spring. As with other Surpass software updates, Surpass 7.20 will be available to you as an active Surpass Support subscriber at no additional cost. The Cloud Backup Service and Awards & Honors inclusion in Safari Selections, begin on your next one-year renewal at the May 1, 2015 rates (current subscriptions expiring May 1, 2014 or later). If your subscription expires before May 1, 2015 or you have recently renewed, you can add Cloud Backup to your Surpass Support for $15 and/or Awards & Honors to your Safari Selections Level 1 or Level 2 subscription for $10. Just let us know. What are the differences between Open Library and Safari Selections book covers? Covers from Open Library are provided by Open Library users and, while Open Library does a very good job of policing contributors, there is no guarantee that the images will be correct (or appropriate). Images from Bowker as part of Safari Selections are professionally sourced and Bowker is responsible for the content. While Open Library has a large number of book cover images, its coverage is not nearly as expansive as that provided by Bowker/Safari Selections. Libraries using Safari Selections will generally have fewer titles without cover images. Open Library has a limited collection of titles for early grades, so Safari Selections will be much better for elementary school libraries. Both Open Library and Bowker retrieve covers by ISBN. There are often many ISBNs for the same title, so it is important that the service be able to retrieve a cover image using any of these ISBNs. Bowker has a superior list of ISBNs where Open Library might have a cover for one ISBN of a title but not given another ISBN. Using covers from Open Library will be slower, at least at first, because Safari has to contact Open Library to get a cover image URL for a title. This can add a few seconds to the loading of each page of a results list. Once a title has been checked, though, it doesn’t need to be checked again and these slight delays will occur less often. Safari does not need to do this for Bowker/Safari Selections images. As a non-profit source, Open Library is not held to any service reliability standards and, in fact, could discontinue the service at any time. Surpass Support only provides access to the service but does not guarantee the availability or reliability of the service. On the other hand, as a for-profit corporation, Bowker has legal obligations to its paid Safari Selections subscribers. How will this affect my Surpass invoice? If your current subscription expires before May 1, you won't see any changes in your Surpass Subscriptions invoice until next year. Subscribers of Surpass Online Backup and/or Safari Selections Level 1/2 with Awards & Honors will see a significant savings (as much as $145 lower) in your next invoice after May 1 as you are no longer charged separately for Online (Cloud) Backup and Awards & Honors. Those with a only a basic Surpass Support subscription will see a $15 increase after May 1 but will have access to free cover images and Cloud Backup. I have both Safari Selections Level 1 and Awards & Honors. Can I get a rebate at the new lower rate? If your subscription expires on or before May 1, 2015, you can take advantage of the new rates and packages on your next renewal. We realize that some of you may have renewed very early or have paid for more than one year in advance (thank you!). If your subscriptions expire after May 1, 2015, please get in touch with us and we'll apply a credit which you can use on your next renewal, to extend your current subscriptions, or to add another service. My Surpass Support subscription expires in December. Do I have to wait until then to get Cloud Backup? To make sure everyone has a good experience with Surpass Cloud Backup without performance problems, we are rolling out the service as Support subscriptions that expire on or after May 1 are renewed. You can add Cloud Backup service to your subscription now for $15 or wait until your renew and get it at no additional cost. If you renew early, by the way, your Cloud Backup service will start immediately -- you don't have to wait until the prior subscription ends. * Applies to renewals for current subscriptions expiring May 1, 2014 or later and renewed under the new pricing. Also applies to current subscriptions expiring on or after May 1, 2015. ** Surpass Cloud Backup will keep up to 20 backups, totaling up to 1GB in size. Individual backup sizes are limited to 500MB. Broadband Internet connection required.